I am in the thick of the Idaho fires. It is miserable with the smoke, all night, and day-after-day. It is no fun waiting to see if we need to evacuate. Friends of ours have been evacuated, one family forceably. Year-before-last there was a fire nearby that burned 2 million acres. The local efforts in Contractors being trained wasn't enough. Prisoners are used, too. I know they worked on it last night because I heard the helicopters flying overhead. 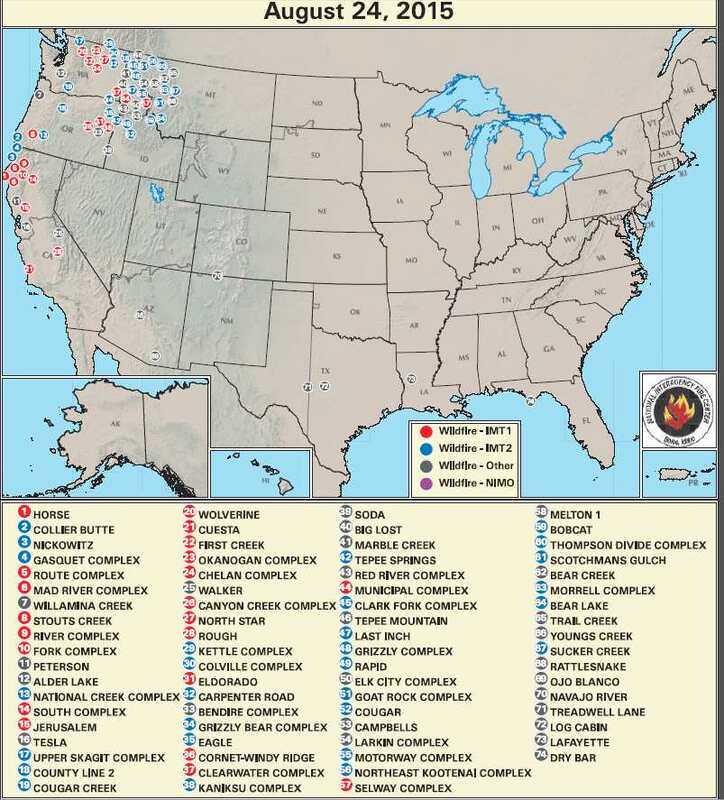 I can't help but notice the fires correspond to the Agenda 21 "re-wilding" map. Northern Idaho is solid red, right where the fires are concentrated. right how many spotted owls have survived the 1 million acres burned? where will they live now ? No where in these stories do they point out that the BLM / forest service practices are all wrong for half a century ! OKANOGAN, Wash. â€“ Many towns remained under an evacuation order as raging wildfires continued their advance through Okanogan County Friday evening and Saturday morning. Earlier Friday, Pres. Barack Obama signed an emergency declaration, ordering federal aid to assist in battling Washington state's wildfires. The White House says the declaration allows FEMA to coordinate disaster relief efforts. The order specifically covers Asotin, Chelan, Douglas, Ferry, Klickitat, Okanogan, Pend Orielle, Skamania, Spokane, Stevens, and Yakima counties. It also brings aid to the Colville, Spokane, Kalispel, and Yakima tribes. The news comes none too soon as firefighting resources are being stretched thin. National guard soldiers were headed to the fire lines Friday and, for the first time in state history, volunteers are being asked to fight the fires. Washington officials say more than 3,000 people have called and emailed in response to the state's request for volunteer help with wildfires. The U.S. Forest Service on Thursday identified the three firefighters who were killed battling a fast-growing wildfire in Washington state as Tom Zbyszewski, 20, Andrew Zajac, 26, and Richard Wheeler, 31. The men, all members of an engine crew from Okanogan-Wenatchee National Forest in central Washington, died Wednesday after their vehicle crashed and was overtaken by flames near the town of Twisp. The fire spread quickly and erratically, driven by wind and feeding on drought-parched land, the agency said. U.S. Forest Service protects the northern spotted owl by limiting timber sales on August 7, 1986. On August 7, 1986, the U.S. Forest Service acts to protect the northern spotted owl (Strix occidentalis caurina ) from decline and extinction by limiting timber sales in mature portions of National Forests, which the animals need to live. The immediate impact is outcry from the forest products industry and from environmentalists. The industry complains that the measure goes too far and will cost thousands of jobs, and environmentalists claim that not enough is being done to protect the species. This is one in a long series of governmental actions and court decisions that will result in a reduction of more than 75 percent of the timber harvested annually from public lands. The fires and the smoke are worse than ever. We are planning to leave the area. The question is, where? Maybe the coast somewhere. The smoke is so thick we can't see even 1/4 mile. There are warnings to stay inside and not go out. It doesn't do much good, the smoke comes in. A man "heard" the fire and ran out to look. It was in a place it had already been put out. But, the smoldering timbers re-ignited. He saw it and quickly ran and got the family. Two of the horses were in the trailer. One was acting up so he had it by the reins, holding it outside the truck window, as he was driving away. It was too late. The horse's tail caught fire, the tires blew out, the fire was upon them. They all survived. It was a miracle. Egypt, stay safe. I'll keep you in my prayers. This morning I saw this headline: "UN Seen Starting Fires In North Central Washington." I believe it was in Before it's News. However, I cannot find it now. However, it would not surprise me one bit. Thanks DF! I knew I wasn't imagining it. 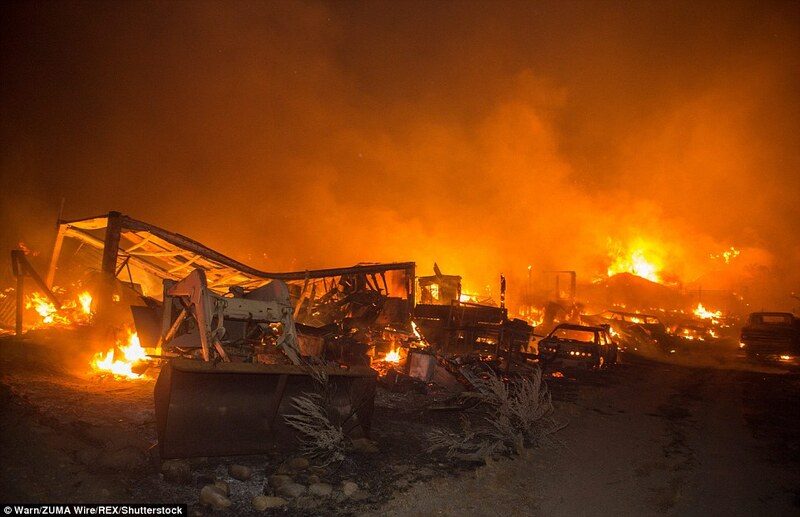 OMAK, WA (KXLY/CNN) - The Okanogan County complex fire is now more than 227,000 acres in size. Fire crews donâ€™t know how many homes have been destroyed. Almost 1,000 firefighters are working to get a handle on the fire, which is now 38 percent contained. One man rode out the firestorm in the comfort of his living room, even as a wall of flames 20 feet high marched right around him. 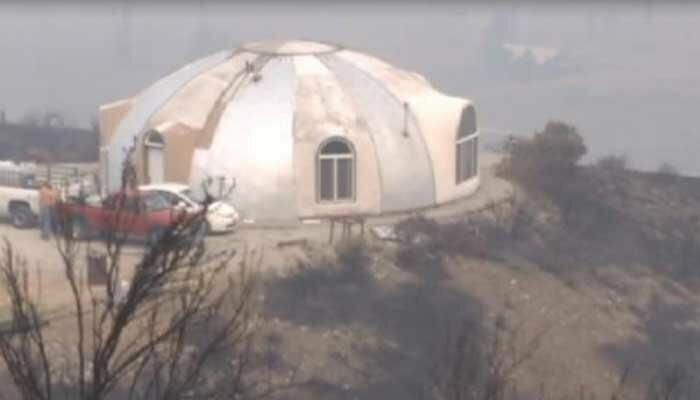 Belles built his concrete, monolithic dome in 1999 after he bought property near Riverside. Itâ€™s designed to withstand Mother Natureâ€™s fury, and thatâ€™s exactly what it did as he rode out the firestorm inside. "I didnâ€™t know how it was going to work out, but I figured I was safe inside the building. It was cool and well protected with the concrete and everything,â€� he said. As the fire passed, Belles watched flames rip across the windows. I just don't doubt it one bit the forest fires are being set on purpose. Yes it is a hot summer, as usual. But, the hype is out there that it is *unusually dry. * Personally, I haven't agreed with the hype. And, if you look at the fires on the map, many are small, and almost in a pattern. They are destroying vast timberland resources, in advance. They had to mow down vast jungles of their vegetation with Agent Orange in Viet Nam. I guess they mean it when they want to drive the rural population to the cities... Burn them out! I have no doubt that this is part of Agenda 21. Please keep safe--everyone in these areas. Published: Aug. 23, 2015 Updated: Aug. 24, 2015 7:31 a.m.
A 100-acre brush and timber fire prompted the evacuation of about 400 homes south of Big Bear Lake on Sunday, Aug. 23, and the cancellation of classes for Big Bear Valley Unified School District schools on Monday. The fire began at 12:25 p.m. Sunday near two forest service roads, about a mile west of Snow Summit Mountain Resort and a half-mile south of Big Bear Elementary School. Flames burning through trees in the San Bernardino National Forest sent up a huge plume of smoke. As of 10:20 p.m., the fire had burned 100 acres -- with no growth since about 5:30 -- and crews had dug containment lines around 30 percent of the perimeter. There was no estimate on when the fire would be fully contained. Evacuation orders are in place for up to 500 homes, many of them cabins and vacation houses. All schools within the Bear Valley Unified School District are closed Monday. Several mountain roads are off-limits. A wildfire smoke health advisory has been issued through 9 a.m. for northeastern Colorado. The Colorado Department of Public Health and Environment issued the warning for east of the Continental Divide and north of Interstate 70. Officials cite haze and smoke from Pacific Northwest, where more than a dozen large wildfires are burning across central and eastern Washington state. The department recommends limiting outdoor activity when moderate to heavy smoke is present, especially for vulnerable groups. A wildfire burned a lodge in Kings Canyon National Park in California, the first structure the huge blaze has burned in the three weeks since lightning sparked it. Pieces of foundation, charred metal pipes, broken dishes and a burned-out pickup truck were all that remained of the Kings Canyon lodge, which bills itself as a folksy getaway for tourists, the Fresno Bee Reported on Friday night. The wildfire had burned across 65 square miles and was just 3 percent contained as it was bearing down on the popular recreation spot Hume Lake in the national park, officials said. The lodge had been evacuated Monday and no one was injured. I am posting this because I got an email from a very trusted friend who lives in the area who said Republic, Washington wasn't even in the danger zone of the fires. They said lots of very screwy things going on the area. The trusted friend said: "Republic isn't in the danger zone of these fires! and there had been no lightening (dry lightening) storms...and the evacuation got underway really really fast there in Republic , Washington!" So this information would back up the story below a little better. I have no doubt that this type stuff is happening and I trust what my friend has told me. I just received a report from an eye witness that watched a White Colored UN Helicopter land on a mountain near Republic Washington and 2 men got out and started a brush fire. This eye witness (Infantry Veteran) also sighted another odd looking aircraft fire a light beam into the woods and a forest fire erupted shortly afterwards. 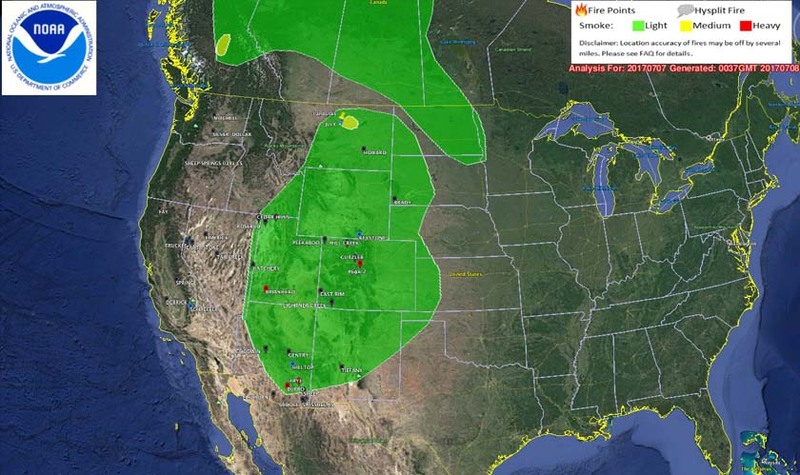 These reports are spot on when it comes to location of the fires and is identical to reports of other fires starting across Washington State I have received. Basically: These fires are being started by US and UN aircraft. I have a personal friend who makes a very inexpensive Non-Toxic Biodegradable product that you can spray on either grass or trees that prevents them from burning and he was told to â€œStay The HELL Away From Us:â€� by the Washington State Department of Natural Resources Procurement Officer. 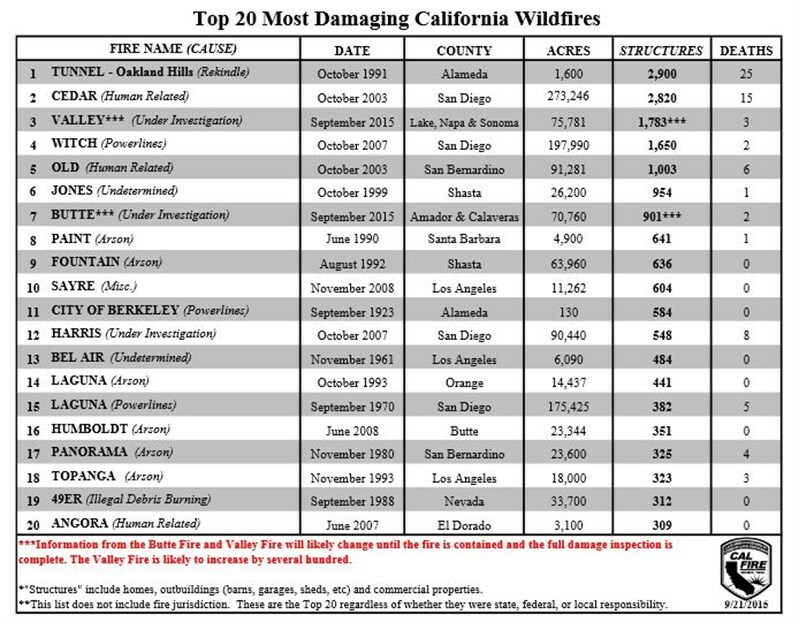 One last note â€“ I studied Fire Weather Behavior at UC Berkeley and fought fires in Forestry for 7 years with my last assignment as the Commander of an Army Reserve Fire Camp. Until about three years ago, ALL fire weather was completely predictable. With all the spraying by the 60th Air wing out of Fairchild Air Force Base, the 9/10th Air wing out of Omaha and Evergreen Aviation, the fires will now get very hot very fast and there is little prospect for rain. If the Governor of Washington had any guts, he would shoot down the planes starting the fires, buy the product to stop the fires, and force down the jets spraying chemicals to block the rain. If he had any guts â€“ and was not a flaming coward. 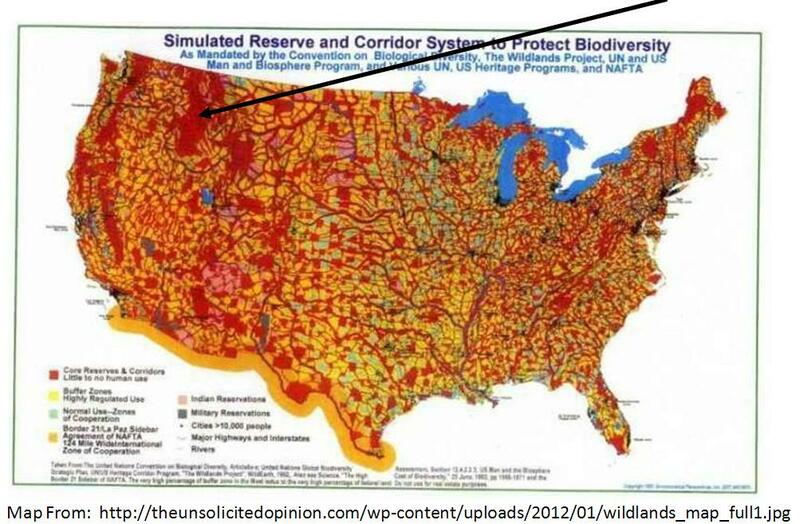 The map really shows how they concentrated the fires in Norther Idaho where the Agenda 21 map shows solid red where no people are allowed... "Core Reserves & Corridors, Little to No Human Use." Why do they specify "human" for use, or not? If I were a human writing the above, I'd say Little to no use. Have you left you area? "The local news didn't mention wind raged all the way over to the west side of the state where just outside of Seattle they had 90 MPH winds causing havoc. Yep 90 MPH, massive power outages over on the west side of the state with trees coming down." I at the south edge of camp roberts and helicopter traffic tonight is nonstop. Very unusual. It's usually quiet. An explosive and erratic wildfire grew to more than 100 square miles in Northern California on Saturday, threatening thousands of structures and forcing hundreds of people into evacuation centers. The so-called Butte Fire, burning in Calaveras and Amador counties, began Wednesday, scorching only 100 acres. But the flames kept up their momentum overnight Friday, ballooning from 32,000 acres to 65,000 acres by Saturday morning, said Dan Berlant, of the California Department of Fire and Forestry Protection, or Cal Fire. The 2,700 residents of San Andreas, about 60 miles southeast of Sacramento, were placed under mandatory evacuation orders on Friday night before the fire switched directions and the order was lifted. But they were warned that they may need to leave at a moment's notice depending on the fire's trajectory. Hundreds of people from other surrounding communities were ordered to flee their homes and quickly filled up evacuation centers, one of which had to change locations twice as the fire's path zigzagged. White told NBC News that the areas surrounding the Butte Fire are even "dark in the day, with lights on." "Reminded me of an eclipse when it gets dark," White said. Hundreds of buildings have been lost to a fast-moving Northern wildfire that had forced thousands to flee Sunday, and hospitalized four firefighters with second-degree burns. 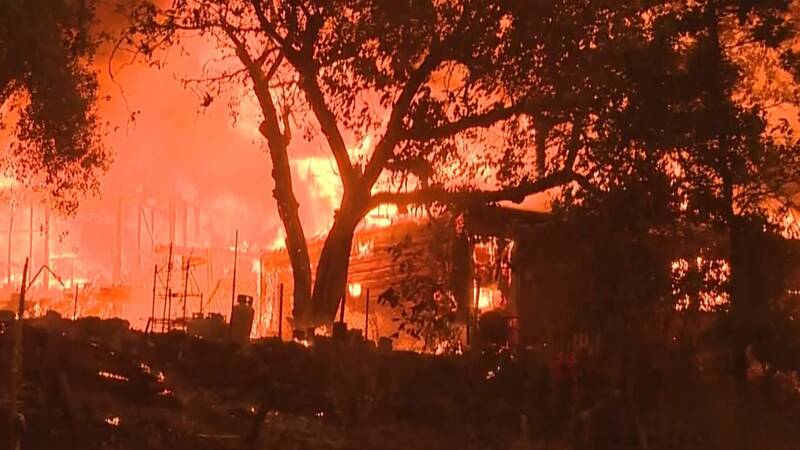 The so-called Valley Fire in Lake County, northwest of Sacramento, erupted early Saturday afternoon and rapidly burned through brush and trees parched from several years of drought, according to the California Department of Forestry and Fire Protection (Cal Fire). The fire spread quickly, growing from 50 acres to 400 acres just before 4 p.m. (7 p.m. ET) Saturday, to 40,000 acres at 1:30 a.m. (4:30am ET) Sunday. Entire towns as well as residents along a 35-mile stretch of highway were ordered to flee their homes. Gov. Jerry Brown declared a state of emergency in Lake County Sunday, less than 24 hours after the fire sparked, and Cal Fire called all personnel to report to duty, canceling any previously scheduled days off. One thousand firefighters were dedicated to battling the Valley blaze as of Sunday morning, and Berlant said more were on the way. then Agenda-21 is being activated, to burn everyone out of the "hills"
MIDDLETOWN, Calif. (KCRA) â€”One person has been killed and up to 1,000 homes and buildings have been destroyed by a fast-moving wildfire burning in Lake County, according to the Associated Press. then it'll be very suspicious, more then it already is. there will be no way of stopping the fire in that heavily pine treed area. The Valley Fire in Lake County is 75 percent contained at 76,067 acres Tuesday. Cal Fire says 1,901 structures were destroyed in the fire, many of them in Middletown, making the Valley Fire the third most damaging wildfire in California history - based on the number of structures burned. The Butte Fire in Amador and Calaveras counties is 80 percent contained at nearly 71,000 acres. It has destroyed 952 structures, making it the seventh most damaging fire in state history. A wind-whipped wildfire burning among mountain communities in California's southern Sierra Nevada has ballooned to more than 29 square miles. The latest measurement at midmorning Friday is more than double the previous estimate. About 100 buildings around the popular recreation area of Lake Isabella have been destroyed, including 80 homes, since the blaze erupted Thursday afternoon and sent residents fleeing. Fire authorities say an additional 1,500 structures are threatened. Six hundred firefighters are battling the blaze about 35 miles northeast of Bakersfield and hundreds more are on their way. Here it is ... Sand Fire - Santa Clarita ca. Thousands of residents remained out of their homes Monday morning as the 51-square-mile Sand Fire continued to burn in Southern California's Santa Clarita Valley. "This fire, what we've seen in 72 hours, is almost unprecedented," said Los Angeles County Fire Department Battalion Chief Dennis Cross. "We'd have to go back a long way to compare a fire to this. And, we're not through with this thing yet." Althogh this and the Monterey fire are the only major western fires right now ... the fall is just upon us. What distinguishes the Sand fire isnâ€™t its size â€” there are at least 500-odd fires that have been larger in the last 15 years â€” but its size given its location. The fire has burned at least 59 square miles, and breached the city limits of Santa Clarita, a city with nearly 180,000 people. In Southern California, this type of urban-adjacent wildfire is all too common. Though the majority of the land scorched in the Sand fire is public and less developed, flames have also spilled into the â€œwildland-urban interfaceâ€� (or WUI), which is â€œwhere houses meet or intermingle with wildland vegetation,â€� in the phrasing of the Forest Service. The Sand fire is one of the largest fires in such close proximity to a city in the past 15 years. To find the culprit for Californiaâ€™s fires, says Forest Service Chief Tom Tidwell, who began his career fighting wildfires in Idaho, look no farther than the historic drought impacting the state: â€œIf you look at the map of where drought is most intense,â€� he says, â€œit often overlaps with where you have these catastrophic fires.â€� Most of Los Angeles County is currently in a zone of â€œexceptional drought,â€� according to the U.S. Drought Monitor. Southern Californiaâ€™s deadly Sand fire was largely under control Thursday, but a massive wildfire burning north of Big Sur has grown to more than 27,000 acres and destroyed 44 structures, fire officials said. The fire, which started Friday in Soberanes Creek, is still threatening 2,000 homes and has forced at least 350 residents to flee. The fire has prompted the closure of six state parks along the Central Coast through Aug. 6, and all trails and roads in the Monterey District of Los Padres National Forest, Cal Fire said. The sweeping flames overtook Robert Bresnick, 67, who was evacuating with his girlfriend and pets. He was discovered dead about 7:20 p.m. Saturday inside a burned car in a driveway outside a home in the 26700 block of Iron Canyon Road. The deadly fires prompted acting Gov. Tom Torlakson on Tuesday to declare a state of emergency for Los Angeles and Monterey counties. The fire danger will remain elevated as high temperatures, gusty winds and low humidity persist through Thursday statewide, according to the National Weather Service. Authorities in southern California ordered the evacuation of 82,000 people on Tuesday after a wildfire broke out in a mountain pass and rapidly engulfed at least 18,000 acres of terrain. Is it reasonable to assume that the carbonazis who automatically blame plant food whenever a disaster like this occurs want desperately for the following article (and all others like it) to be flushed down the memory hole? Blame California's historic drought, extreme heat and Santa Ana winds for spreading wildfires faster than ever â€” but the blazes don't begin by themselves. It takes a spark to set them, and in California last year, more than 1,000 wildfires were started intentionally. Since 2007, one in every five state wildfires was deemed arson, according to the California Department of Forestry and Fire Protection. But investigators like Jennifer Ricci are helping to hunt down the culprits. "We investigate all fires, and arson is one potential cause of many," said Ricci, adding, "There has to be an ignition source. That's our job â€” to figure out that ignition source." The aggressive fire in the Cajon Pass grew to 31,600 acres on Thursday as flames ripped through canyons and flatlands and reduced homes to ash and rubble. The flames have left even veteran firefighters bewildered. â€œIt hit hard, it hit fast â€” it hit with an intensity that we havenâ€™t seen before,â€� San Bernardino County Fire Chief Mark Hartwig said. 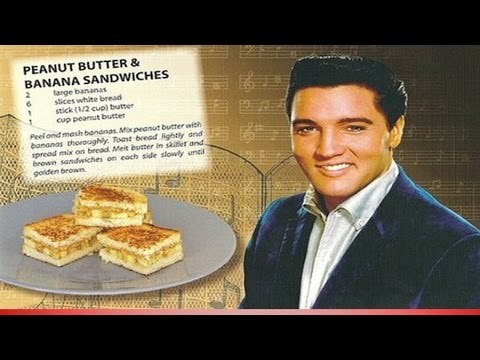 Summit Inn, a historic diner along Route 66 once frequented by Elvis Presley, had become indistinguishable rubble. Charred skeletons of buildings and cars dotted the area. A cargo train sat idle on tracks, abandoned by its engineer. A spokesman for the U.S. Forest Service said assessment teams and cadaver dogs would be sent to homes and structures along Highway 138. In addition to Lytle Creek, Lone Pine Canyon, Wrightwood and Swarthout Canyon, mandatory evacuations were ordered for Baldy Mesa, Old Cajon Road and West Cajon Valley, fire officials said. 4. At the bottom "Results" come up. Chose "Post Details" at the end of that line. Thousands of residents and visitors in the Gatlinburg area were evacuated from the Great Smoky Mountains, and hundreds of structures have been damaged and destroyed by the fire which is the worse to hit the area in decades as of Tuesday morning. GATLINBURG - 9:30 a.m. Tuesday UPDATE: Officials estimate more than 14,000 residents and visitors had to evacuate Gatlinburg due to an inferno in Sevier County. Crews are also getting their first look at damage estimates. â€¢ Ober Gatlinburg says its property has NOT been destroyed, contrary to TEMA report. The Red Cross is accepting monetary donations. People can make a $10 donation by texting "REDCROSS" to 90999. KNOXVILLE, Tenn. â€” Forest fires that have burned more than 119,000 acres in eight states and have people from Asheville to Atlanta smelling smoke continue to rage through most of the Southeast. More than 6,300 firefighters, some from as far as Alaska, are fighting fires that range from just a few acres to one in the Cohutta Wilderness in northern Georgia that has burned 27,000. That fire has burned more than a month and is just 20 percent contained. A total of 74 aircraft, including Black Hawk helicopters and BAE tanker jets, have been used. The centerâ€™s Dave Martin said he canâ€™t be sure if the extent of the fires is unprecedented, but it is the biggest he can remember. States that have been dealing with fires are Tennessee, Kentucky, Virginia, West Virginia, North Carolina, South Carolina, Georgia and Alabama. The fires taken together are even starting to rival the mammoth blazes of the west. 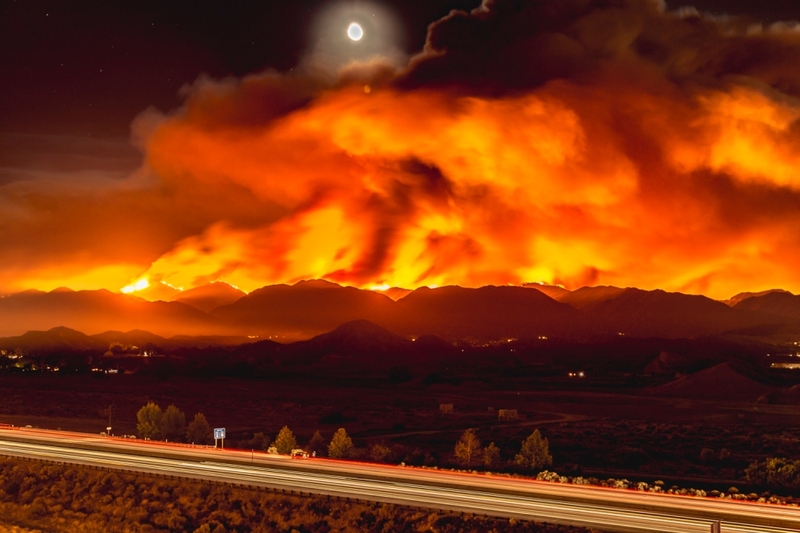 The Big Sur fire in late July burned around 132,000 acres. With little to no rain in recent weeks and prolonged drought conditions affecting much of the Southeast, hundreds of wildfires have broken out across the region, prompting evacuations and sending up a blanket of smoke that covers several states. Many of the fires are the result of arson, officials say, and three people have been arrested thus far, according to the Associated Press. Police in eastern Kentucky say they have arrested a man described as a "wannabe meteorologist" who deliberately set a wildfire in an attempt to garner a larger Facebook following. Johnny Mullins, 21 of Jenkins, Kentucky, faces a charge of second-degree arson for a blaze in Letcher County, Jenkins Police Chief James Stephens told the AP. "(Mullins) likes to do Facebook videos and have people follow him on his 'weather forecast,'" Jenkins Police Chief James Stephens told the AP. "So that's pretty much why he did what he did. He enjoyed the attention he got from the Facebook stuff." Another unidentified teen was also arrested on suspicion of arson in Harlan, Kentucky, and a man was charged in Tennessee with setting fires and vandalism that caused more than $250,000 in damage outside Chattanooga. According to the Courier-Journal, at least 150 of 210 wildfires â€” or 76 percent â€” that have broken out since October in Kentucky are arson-related, the Kentucky Energy and Environmental Cabinet reported. The blazes have prompted officials in Tennessee, North Carolina and Kentucky to declare states of emergency. More than 5,000 firefighters and support staff from around the nation have poured into the Southeast to help fight the fires, according to Shardul Raval, U.S. Forest Service Director of Fire and Aviation Management for the Southern Region. About 40 aircraft, including three large air tankers flying out of Chattanooga, have been brought in. ATLANTA (AP) â€” Country music icon Dolly Parton says sheâ€™s heartbroken about wildfires that tore through the Tennessee county where she grew up but spared the Dollywood theme park that bears her name. In a statement released Tuesday by her publicists, Parton said sheâ€™s been watching the â€œterrible firesâ€� in the Great Smoky Mountains. At least 14,000 people have been forced to evacuate the tourist area of Gatlinburg, Tennessee. Three people were killed in the wildfires, and more than a dozen others were injured, authorities said. â€œI am praying for all the families affected by the fire and the firefighters who are working so hard to keep everyone safe,â€� she said. In a video released just hours before the wildfires engulfed Gatlinburg and areas around Pigeon Forge, Parton urged people to prevent forest fires. Parton appears with Smokey Bear in the 30-second video released Sunday by Great Smoky Mountains National Park. She tells people to avoid burning leaves and parking vehicles on dry grass, and warns that even a campfire can spark a wildfire. Dollywood officials said the theme park itself wasnâ€™t damaged but more than a dozen cabins operated by the park were damaged or destroyed by the wildfires. Oh here we go again ... amid record snow ( 100 year records !) / rain fall ! . With a heat wave continuing to bake California and the rest of the West, wildfires forced nearly 8,000 people to dash for safety Sunday as flames destroyed homes and threatened thousands of structures across the state. About 35 miles to the south in Santa Barbara County, more than 3,500 people have fled the Whittier fire near Lake Cachuma, which was burning just north of Goleta. The blaze scorched just over 12 square miles and burned 20 structures on both sides of Highway 154, according to officials with Los Padres National Forest. That fire, which started about 2 p.m. Saturday, initially trapped some 80 campers at the Circle V Ranch Camp. But U.S. Forest Service firefighters reached the group later that day, said Capt. Dave Zaniboni of the Santa Barbara County Fire Department. not to say that this couldn't be arson/conspiracy/etc...but, when a fire gets going, it spreads easily through dry underbrush and when the heat is intense enough it will literally blow trees up. sure, a healthy tree is capable of surviving some fires, but not all. It seems to me the fires are set on purpose. It's an act of war to burn up millions of acres at a time. The forests are part of America's fantastic resources. People could live out there. Caches are buried out there. They're hiding other-country military in groups out there. That year of 2015, men were observed jumping out of the white helicopters, setting the fire and jumping back in to go do it again in another spot in Washington. Reported orally here locally, a couple saw a landed helicopter leaving as a fire started. I discovered that aluminum-resistant seed is available for pine trees from Monsanto. Also, aluminum-resistant seedlings can be purchased and are being created for re-treeing burned areas. Monsanto must be making at least $billions over these fires. Those involved and perpetrating, setting the fires need to be held accountable for High Crimes Against Humanity. Also, a commercial-grade ozone maker helped us here at home in clearing out the smoke inside, and making so we could breathe. Now, I still use it to freshen up the air inside our home. I agree with you E. There have been several documented accounts of forest service people setting fires for whatever "unknown" motivations (orders ? job promotions ? spite? ). But also homeless and illegals set fires from having camp fires during high winds or just leaving them . 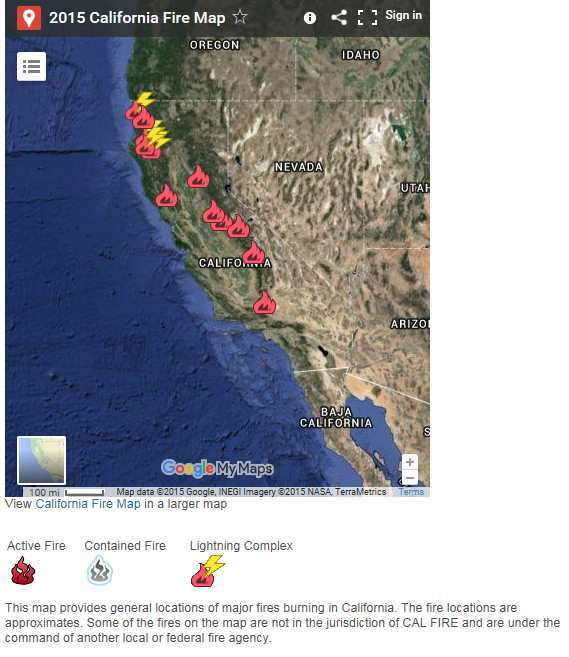 Also these fires are not just in California , they are occurring all over the west . And yes these are areas that have been getting the aluminum con/chemtrails ( I've seen them over Lake Tahoe and all over the west) . So are these chemicals on the trees acting as an accelerant ? And right they are re seeding vast areas of the west with WHAT? So Monsanto gets billions directly from the federal trough with govt. contracts . Helitorch/terra-torch or gelled gasoline in handthrown plastic bags. Free aluminum (Al) is reactive. 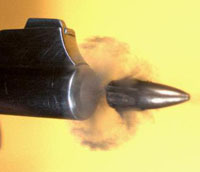 Following combustion, aluminum oxide (Al2O3) will be the dominant form in the environment. ATSDR (1999a) estimated a minimal risk level of 2.0 mg Al /kg/day for intermediate (15 to 364 days) oral exposure, based on the most sensitive toxicity endpoint (neurotoxicity) identified in studies in laboratory animals. This minimal risk level is equivalent to 3.78 mg Al2O3/kg/day. Long-term feeding studies in mice and rats using aluminum potassium sulfate or aluminum phosphide led reviewers to conclude that aluminum has not demonstrated carcinogenicity in laboratory animals (ATSDR 1999a). This map showing the distribution of smoke from wildfires was produced at 6:37 p.m. MDT July 7, 2017. I have memories from my childhood of being taught forest rangers do intentionally set fires...controlled fires to burn off the underbrush in attempts to prevent buildups that can cause much larger fires...as I noted previously, healthy trees can withstand such small fires. look, I can easily agree that something could be going on...there are certainly way too many instances of idiots starting fires by being idiots...and there are of course arsonists doing it on purpose just for the kicks. A wildfire burning in the Central Valley spread across thousands of acres Monday, forcing residents to flee their homes as fire crews wrestled with erratic flames and steep, rugged terrain. The Detwiler fire, which began Sunday afternoon, has scorched 11,200 acres, destroyed one structure and damaged another about two miles east of Lake McClure in Mariposa County, according to the California Department of Forestry and Fire Protection. At least six other smaller fires erupted across the state Monday, as high temperatures and dry conditions presented ripe conditions for destructive wildfires. The largest of the new fires burned 500 acres in Fresno County, Cal Fire officials said. Farther north in Mendocino County, about 450 firefighters tackled the 900-acre Grade fire. Burning five miles northwest of Redwood Valley, the blaze, which was 25% contained as of Monday afternoon, triggered evacuation warnings in the Baker Creek subdivision. The fire erupted about 2:50 p.m. Sunday along Highway 101 and threatened nearby homes and structures, according to the Mendocino County Sheriffâ€™s Office. 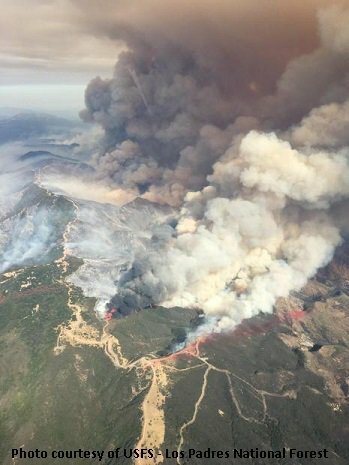 Elsewhere, the 18,311-acre Whittier fire continued to burn into the Santa Ynez Mountains north of Goleta in Santa Barbara County. In Calaveras County, a 55-acre blaze ripped through thick, dry grass in the footprint of the 2015 Butte fire, triggering evacuations and leaving one person hospitalized with burn injures. The aggressive wildfire sweeping through the Sierra Nevada foothills covered with dense brush and dead trees destroyed 60 homes and 64 other buildings. But it spared Mariposa, a historic Gold Rush-era town popular with tourists bound for the park. Firefighters lifted an evacuation order for residents of Mariposa and reopened Highway 140 between the town and Yosemite, California Department of Forestry and Fire Protection spokesman Andy Isolano said. The wildfire that has scorched 117.5 square miles (298 square kilometers) threatened at least 1,500 homes and forced almost 5,000 people to evacuate. Nearly 4,500 firefighters, air tankers and fleets of helicopters and bulldozers fought the blaze. A state fire statement said temperatures in the area could top 100 degrees on Saturday and the fire could move moderately fast through the area, torching isolated trees.